Let's stop blaming Mercury retrograde. Actually Mercury doesn’t care, but I got your attention. That’s right, Mercury doesn’t really care, but you should, not in a judgmental ‘should’ kind of way but in a self reflective, I am going to take responsibility for myself, kind of way. I’m supposed to be sleeping right now, but I feel compelled to shout from the rooftops, or maybe just my lanai, “Let’s stop making mercury the scapegoat of our problems!” He doesn’t deserve that, no planet does. Mercury is so misunderstood, the minute anything goes wrong, people blame him. The truth is, one of the best times to learn about communication is when mercury is retrograde. Let me explain, first, any retrograde planet is not literally moving backwards; it just appears to be, in relation to the earth. When a planet is in retrograde, that is the time to reflect on the specific energy of that planet, and learn the lessons, that ‘it’ wants to teach us. 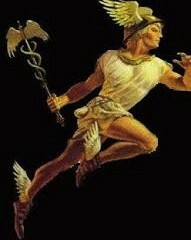 Ergo, contrary to popular belief, Mercury is not the scapegoat for everything that goes wrong during this time. In fact, we can make great strides in our inner world during any retrograde cycle because it is a centripetal energy. Mercury asks us to reflect, ruminate, work and internalize the important lessons. One theme in Ayurvedic medicine (the system of healing from India) and Vedic Astrology is to align ourselves with the ‘energy’, and move in the same direction. Here, on Kauai, surfers do the same thing, they wait for a ‘good’ wave, turn their surfboard in the direction the wave is moving, then they paddle hard. The wave picks them up and they have a great ride just in front of this big lump of water that pushes them forward! They can artfully carve in and out of the wave, or just stand there on the board enjoying the free ride (that’s what I did). I’ve surfed before and there is no other feeling like it! The potential here is a great ride, or… the waves can pummel you, it is entirely your choice. Vedic Astrology and Ayurvedic medicine are sister sciences, which I learned together, starting some 20 something years ago. I want to clarify that I am not a Vedic astrologer, I am still very much a student, a devotee of it all, dedicated to learning and continually growing. My main focus is Ayurvedic medicine and Yoga, which, at some level, are all really interconnected and inseparable. According to Vedic astrology, the name for planets is graha, meaning to grasp. Inversely, in yoga, we learn Apari-graha, which means non-possessiveness, to not hold onto; things, people, ideas, possessions etc. In this case, the planets/graha literally grasp us. In a way, they posses us, and have their way with us. As these karmas ripen, they live out certain karmas through us during times when they are more lively in our chart. It is likened to an archetypical energy that we embody and live out. To me, it is common sense to come to the conclusions that if the universe/a planet wants something from us, why not give it what it wants? Planets or ‘the universe’ or whatever your term is for creation/creator want certain behaviors from us. Such as: surrender, serious discipline, humility, consistency, did I say humility, yes, Saturn wants lots of that. Mercury wants clarity, distinction, discretion, and discernment to name a few. There is also a bunch more data that your friendly neighborhood Jyotishi (Vedic Astrologer) will tell you about the house Mercury was occupying when you were born, your natal chart and where he is now which will give different results. I am not here to do that, I am here to say “hey, there’s this thing that people have been misunderstanding, here’s the truth, there can be a lot of positive cultivation now, so let’s take advantage of that. 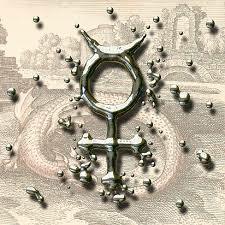 In conclusion, Mercury wants clear communication, articulation, and flexible thinking. He governs: education, language, writing, logic, and understanding. He represents modes of communication, which is why people blame all sorts of communication breakdowns on him. The best use of mercury retrograde is to be involved in those activities or activities, which involve using those inner faculties just mentioned. In my humble opinion, I think it is a perfect time to: journal, catch up on your inner work, learn, practice and teach communication skills (like I am doing here), learn a new language, teach something, articulate your messages clearly, enunciate your words, etc. Mercury is not our scapegoat. Mercury retrograde is an opportunity to learn and grow. If you’d like to learn; about yourself, to listen and communicate even better, you may want to participate in the upcoming tele-class I will be teaching during this Mercury retrograde cycle.